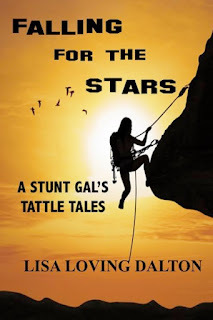 Being a stunt gal taught me a lot about fear. Once, when I was a talk show guest on an episode called “Dare-Devil Women” a psychologist said I was a five-alarm gal. This meant that my “threshold of stimulation” was high and I needed five alarms to wake me up and get me going. At four years old, it was so hard to wake me up in the morning, my mom sent me to afternoon kindergarten. And while there, I was knocking the boys off the top of the jungle gym, but only when I had an audience. The teacher tried to flunk me. She told my mother I was in no way ready for first grade. With an October birthday, she felt one more year of maturing would be prudent. I actually got suspended from first grade. That’s pretty rare. I was such a disciplinary problem, never shut up in class, was terribly disobedient and sneaky good at it. By the spring, Mother Saint Mel kicked me out. The principal sent me home, telling my mother not to bring me back. Mom and Dad were not happy. When I finally agreed to behave after several days of a major “time-out”, the teacher warned my mother that she would likely fail me because I hadn’t paid attention to anything the whole year. My mom said “Nonsense.” Then I got the highest achievement test results in the 30+student class. Perhaps it is fair to say, I was, at that time, a five-alarm gal. I needed more stimulation than what the teachers were giving me. The way I got that stimulation was by doing scary things that got my adrenaline flowing. Creeping into the marsh behind the school during recess and harboring frogs in my lunch bag were working for me. Yes, there were alligators and water moccasins in this Miami suburb but they were harmless babies, mostly. I think I activated a lot of fear in my teachers. Had they understood I was a five-alarmer, they might have created much more stimulating teaching tools, rising to the occasion instead of trying to tame the fire in me. Somehow, it is as if I was born in relation to fear, that I have an innate drive to find it and meet it head on. And overcoming it makes me feel alive. This is dangerous all by itself. It means that if I don’t know this about myself, I might even create my own chaos if things get dull enough. (Think: dull=peace). Eventually, my adrenals will burn out. Plus, I might just have a tendency to put myself in completely unnecessary danger, and drag others with me. After all, if I’m a flame, who are the moths that are drawn to me and die? Are you a natural, a double, a five or a silent-alarmer? Tell me a story about how your threshold of stimulation has created chaos or protection in your life movie. Thank you for spending time with me. 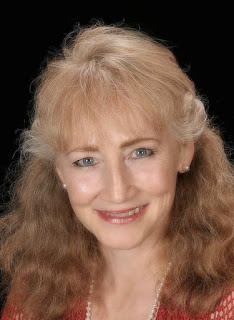 I love connecting with readers so please find me on social media and my website.